Thanks Brandi! I'll keep em for that. Dunno if I'll use the eagle for SM, but we'll see as those holidays approach. 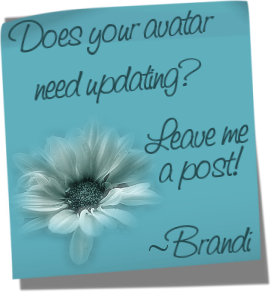 Over at ATS, the avatars are huge, but the larger sized eagle avi is about as big as I dared to go. Thanks again for fixing these up for me! I did notice how huge the original one was! I kept the large one the same width (158 pixels)! You're welcome, hope they are useful to you. I learned how to make my own fireworks! I would love a new look ::dogwag::Thanks. I will be posting Fourth of July/Patriotic avatars this weekend. Is that okay for you or do you want something else? Lots of choices for you as well. Hope you like them! 4th July is good for me! A few patriotic ones for you and a couple of summer ones. Happy Summer. I'd like to be in that pool with you! Time to get out of your Easter duds! The second one has the stars sparkling. The first, not. Lights blinking in one, not the other. Grass on side of road in one, not the other. Let me know if you like either one of these. Let me know if you have any requests. I can make any change you wish.